In a major archaeological discovery, Egypt on Saturday unveiled the tomb of a Fifth Dynasty official adorned with colourful reliefs and well preserved inscriptions. The tomb, near Saqqara, a vast necropolis south of Cairo, belongs to a senior official named Khuwy who is believed to have been a nobleman during the Fifth Dynasty, which ruled over Egypt about 4300 years ago. 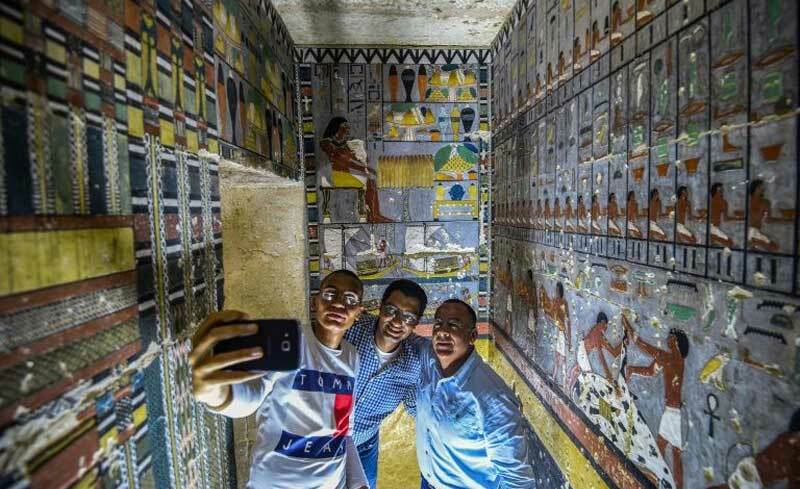 “The L-shaped Khuwy tomb starts with a small corridor heading downwards into an antechamber and from there a larger chamber with painted reliefs depicting the tomb owner seated at an offerings table,” said Mohamed Megahed, the excavation team’s head, in an antiquities ministry statement.